Crawley MP Henry Smith has reiterated his call for improvements in support for issues affecting blood cancer patients and the wider community in Crawley, including access to treatments, mental health provision and GP services. Mr Smith, All-Party Parliamentary Group on Blood Cancer Chair, secured and led the House of Commons Adjournment debate on Friday (November 23); unlike all other proceedings in the Commons that day, Henry’s debate was guaranteed to be heard in the chamber, and responded to by the new Minister of State for Health, Stephen Hammond MP. Speaking in Central Lobby after the conclusion of the debate, Henry said; “It’s vital that we continue to keep up the pressure on the Government. While blood cancer is the UK’s fifth most common cancer, it’s the third biggest cancer killer in our country. 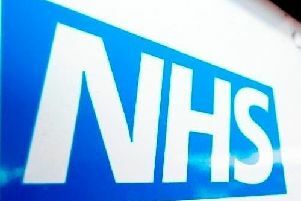 “As well as a wider point about the plan needing to ensure support for GPs so NHS patients can be seen at their local surgery, GPs require greater assistance in detecting and flagging cases of blood cancer. “On average, a GP will see eight cancer cases per year, with just one of these being blood cancer. Too many blood cancer patients have to visit their GP three or four times before being diagnosed – this needs to change as early diagnosis is key. The Crawley MP has chaired the APPG on Blood Cancer since its formation in June 2016. The Group’s first report, ‘The ‘Hidden’ Cancer: The Need to Improve Blood Cancer Care’, was published in January 2018.